As I write this my sisters, Milan fashion week has come and gone (Paris is in full swing) and here I sit in a fabulous Italian coffee shop drink my Americanno nestled in the bosom of the MADREPATRIA (Italian for Motherland). My cyberstisters know I hate to play favourites but what is it about those fabulous Italians? Is it me or do they just seem to get it on all fronts? Shoes, clothes and food- yes the Italians are the trifecta of fabulous. Did my girlfriends know that all luxury foot wear in this worlds is indeed made within a 500km radius if Venice. Indeed there are 3 luxury footwear houses that have been making fabulous footwear since the early 1500’s. Don’t believe me? Walk into any luxury shoe store, flip over those gorgeous pair of Manolo’s, Louboutins or Jimmy Choos and check the bottom of the 100% leather soles. What does it say? Made in Italy. Now put the shoes down, stop reading and try those sole savers on….. Believe me, my sisters- I’ve done the leg work…. Literally. Nothing says craftsmanship like a MADE IN ITALY label. I have the credit cad bills to prove it. From FENDI, to PRADA, to MARNI, to GUCCI and MIU MIU and ARMANI. Need I go on? Those dudes know how to cut a dress. Imagine my delight when just last week the New England Journal of Medicine published the results of a large scale randomized trial on the Mediterranean Diet. The study looked at 7500 patients from Spain who were at high risk for cardiovascular disease. More than half of the patients had Diabetes, 70% had high blood pressure. The researchers randomized the patients into one of three groups. One group were instructed to eat a low fat and high carbohydrate diet. The other two groups were instructed to eat a traditional Mediterranean Diet the only difference was one Mediterranean Diet group had olive oil as their source of fats and the other had walnuts. After 6 years of study Mediterranean Diet groups had a 30% reduction in cardiovascular events over the low fat group. 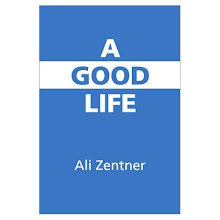 This translated into a 32% relative reduction in stroke and a 27% relative reduction in heart attacks. What does all this mean my sisters? 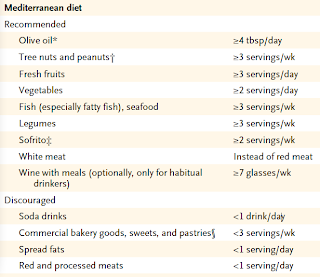 What fascinates me about these studies is not that the Mediterranean Diet was high in olive oil and fats but more so what the diet was lacking…. Refined carbohydrates. 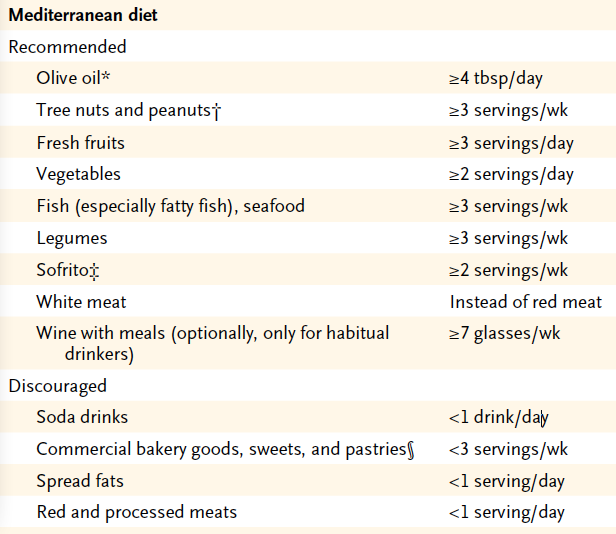 In fact below is the figure taken directly from the study highlighting a list of foods recommended on the Mediterranean Diet. Sometimes my sisters…. 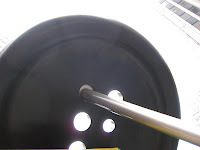 It’s all about what we take away that counts…. And so ends another week with an homage to my Mediterranean girlfriends…. I raise a glass of vino to you my sisters of the sea as I slip off my stilettos and cuddle up in my Missoni Pajamas. You girls really do have all the fun.